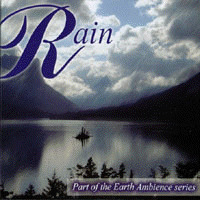 "Earth Ambience: Rain" is a professionally released CD. Over an hour of relaxing ambient music accompanied by the sounds of rain and thunder - a great background for massage, yoga, or simply relaxation! The pre-cursor to "Rain", this CD has 11 full length tracks covering an assortment of moods from sedation to elation, romance to melancholy  ideal background music for relaxation and rejuvenation. Our first multifaceted compilation featuring poetry, humor, mood music, and more! A favorite of kids and adults! Read what people are saying about this music. and buy it at CD Baby. 20-30 short samples of Roy's music. Each sample is 30-120 seconds - great for quick scanning of pieces to license for your project, or to identify the type of "feel" you want for custom music to fit your project. 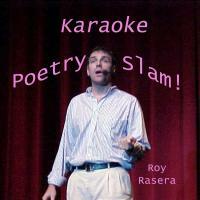 Now your whole family can slam along with 6 of Roy's infamous poems -- from the classic Whitebread to the sentimental Ice Storm, from the fast food fantasy UFO To Go! to the lulling Train to Zurich. Ready to slam! ?